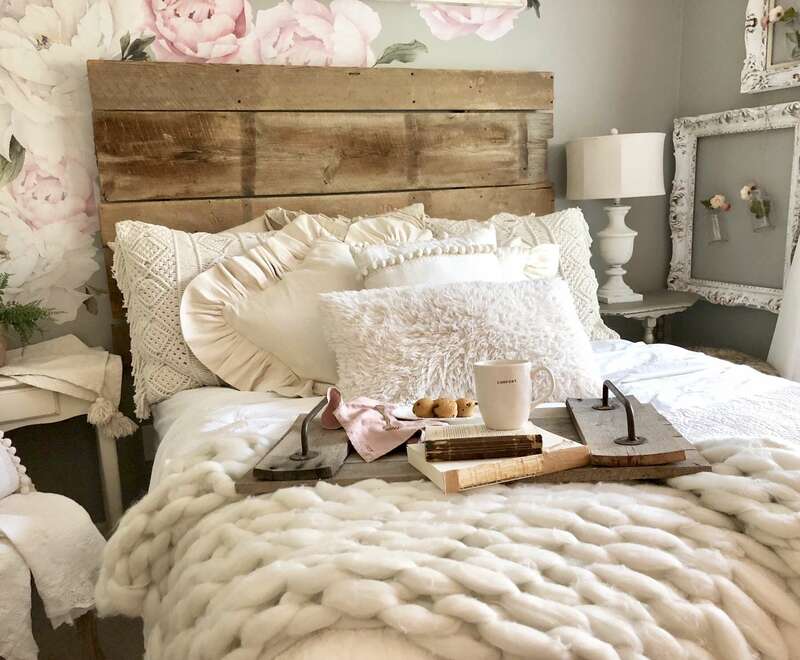 Did you know that creating the perfect guest room does not have to be overly complicated or even expensive. 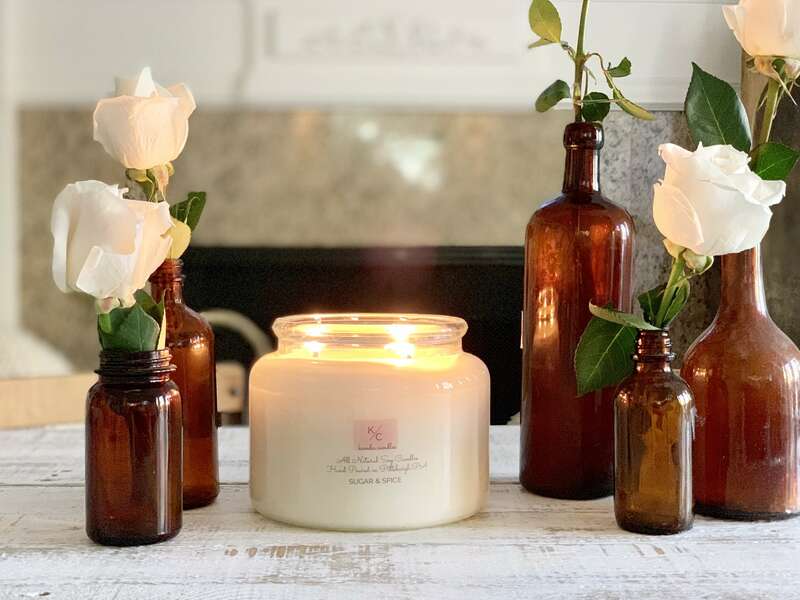 Let me share a few elements that will make your guests feel right at home and have a good night sleep while they are staying with you. I know that I sometimes have trouble sleeping while I’m away from home, so I like to be very thoughtful when designing a guest room in our home. Here are a few things to think about…. One of the most important things to consider is the bedding that your guests will be sleeping on while visiting you. You should first think about the sheets that they will be snuggled up under each night. When I am purchasing new sheets, my favorite place to get them is from Linens and Hutch. The sheets from Linens and Hutch are absolutely perfect for every bed in your home but especially the guest bed! They are incredibly soft, lightweight, durable and best of all extremely affordable. Your guests will feel so spoiled sleeping in between these fabulous sheets that they may never want to leave. 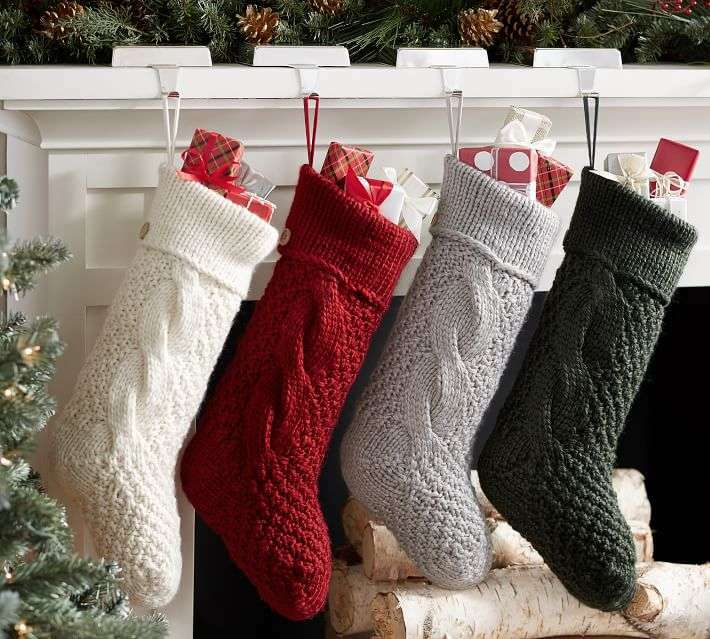 They have so many beautiful patterns and even lots of solid colors to choose from to fit with any decor style. I chose the light gray stippled pattern for our guest room and I think it adds a beautiful element to this space. Next, you should consider the comforter and pillows they will be using. These should be extremely cozy and inviting. 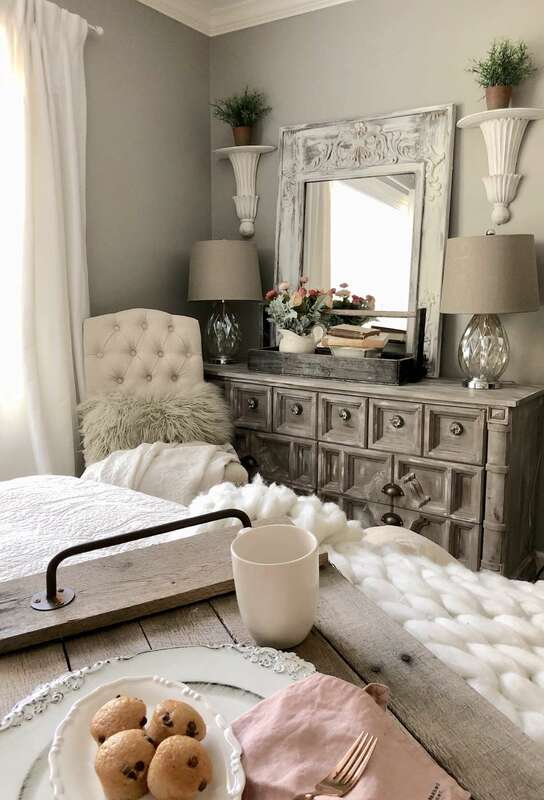 I like to stick with mostly shades of white on our guest bed because I feel it creates a peaceful and relaxing environment. I also love to layer the bed with a few more things to make their stay as comfortable as possible. Some people get cold easily and others are warm sleepers. 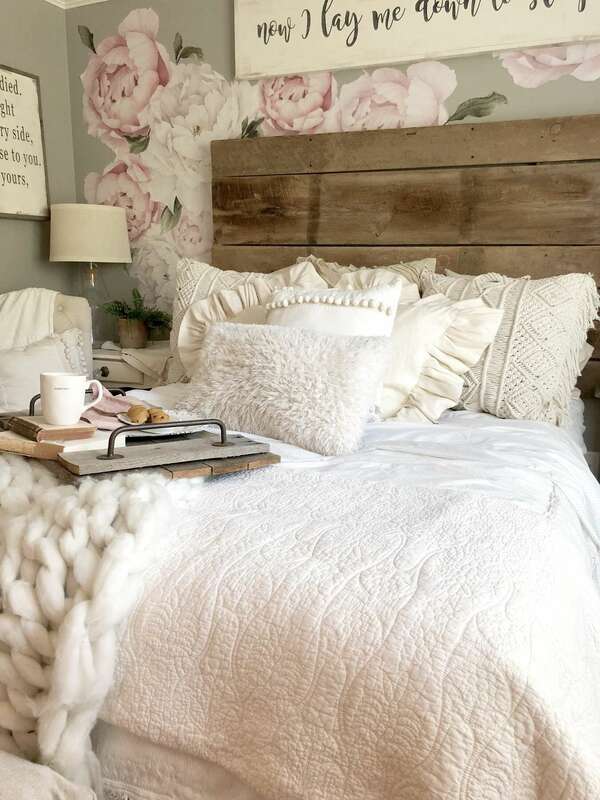 So layering the bed with a quilt and a cozy, soft throw blanket will give them options. 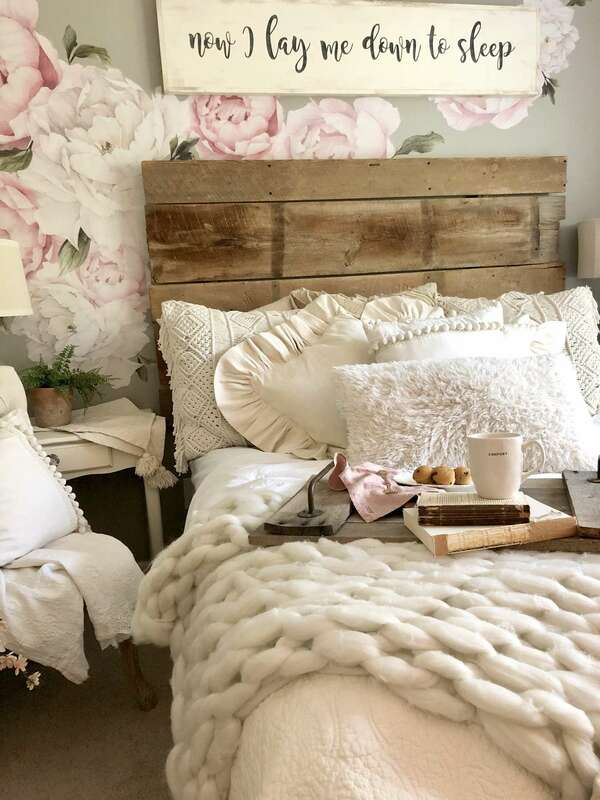 These also add texture and add to the coziness factor in the space. 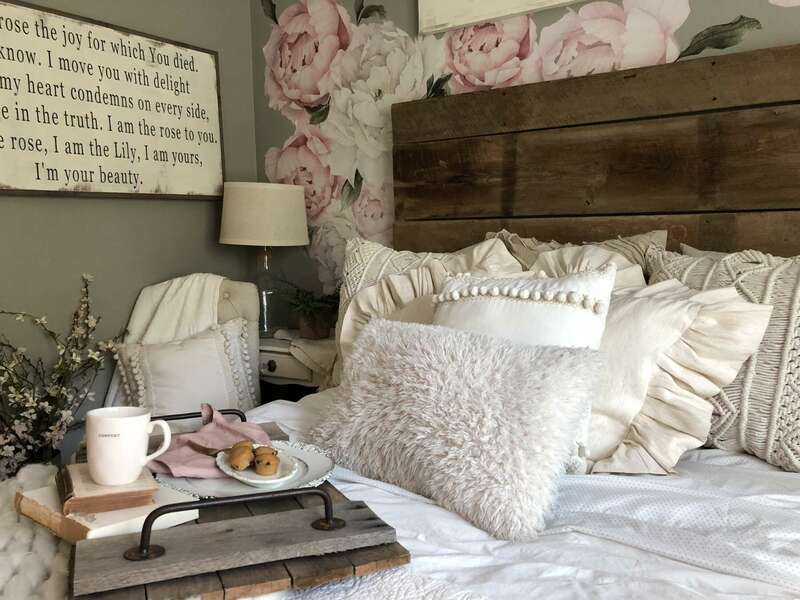 Now that we have the bed taken care of let’s talk about the other things that I have included in our guest room to make it a special place for guests. I like to have a place for my guests to sit and do some work if they need to. So for one of the bedside tables I used a small desk with a chair nearby instead of a traditional nightstand. To make my guests feel more at home, I like to provide a dresser for them as well. In our space, I used a dresser that was a very inexpensive Craig’s List find. I gave it new life by painting it using my favorite chalk paint and then I replaced the knobs as well to add some character. I also placed a mirror (that I also chalk painted) over the dresser for my guests to be able to use as they get ready for the day. 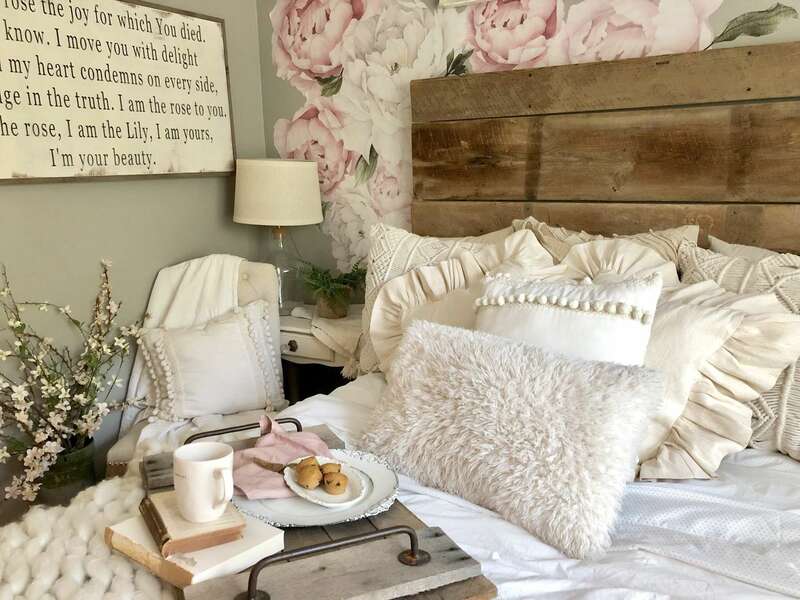 So as you can see it does not have to cost you a lot to create a beautiful space for them, just some creativity and a little paint can go a long way when furnishing a guest room. I also love to add some extra touches to make my guests feel cared for and welcome. For example, in this space I used a beautiful tray we made. I filled the tray with some special goodies like flowers, snacks and a few books for them to enjoy. I also like to include my favorite daily devotional on the bedside table and let them take that home with them at the end of their stay. Another special touch is to have a cute basket filled with travel size items they may have forgot to bring along. These items can include things like… toothpaste, soap, shampoo, and lotion. I also like to add a few bottles of water on the nightstand for them to enjoy. One last and important thing to consider are the walls your guest will be looking at during their stay in this room. 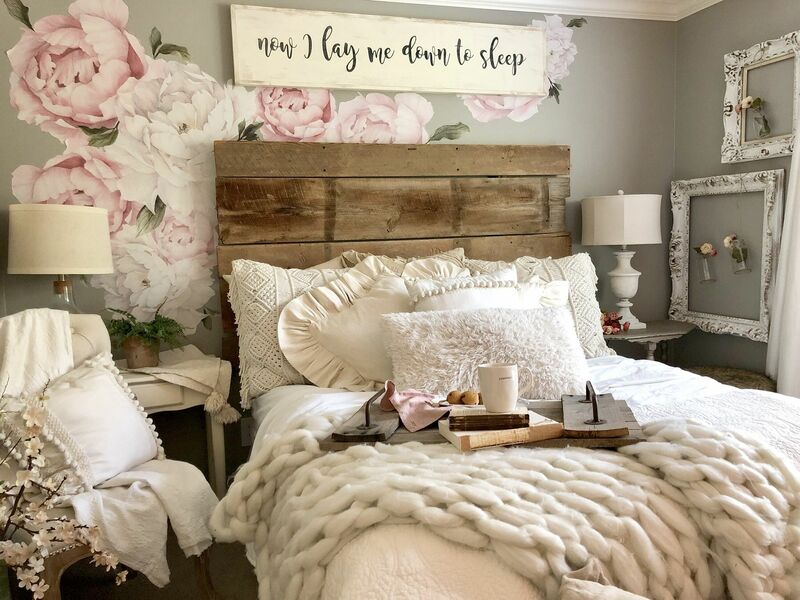 In our space, I have recently added these gorgeous large peony decals from Rocky Mountain Decals. These were super easy to use and give such a wow factor to our guest room. What I love about these is that they are removable and reusable so I can take them down if I want to use them elsewhere. Another little DIY I did to add a fun touch in here was to use some vintage frames that I painted then attached some bottles with twine and placed a few flowers in each of them. Another thing I love to use are signs with words that will make our guests feel loved. Thanks so much for reading. 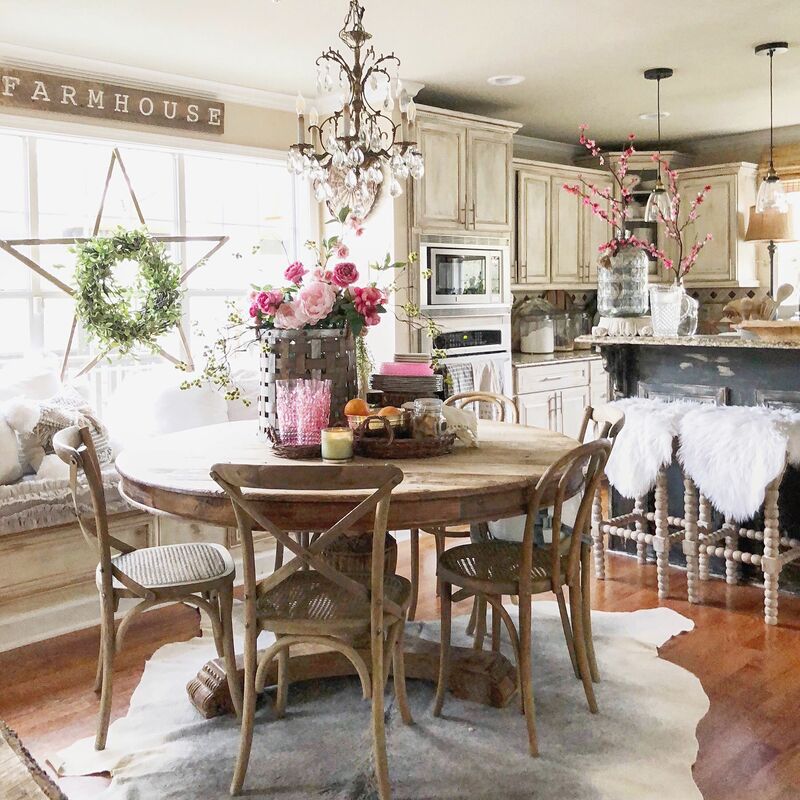 I hope these ideas will help you create a space that you will want to share with family and friends and keep your guests coming back year after year. 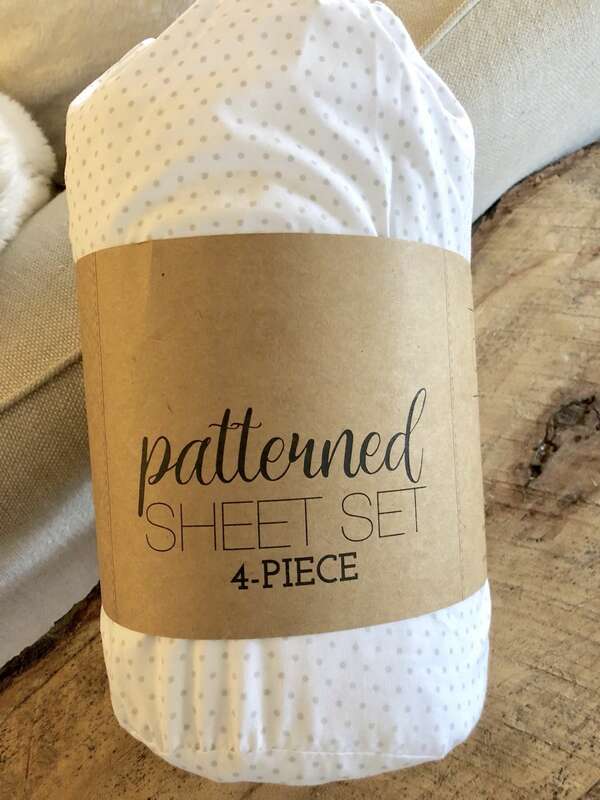 You can shop my sheet set and get 30% off. Just a lovely space!! Great ideas, thanks so much for sharing!